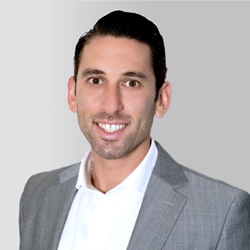 Dylan Cohen joins Los Angeles wealth planning firm The Myerson Agency. With Dylan’s background in asset protection, he is in a unique position to identify opportunities for tax-efficient alternatives to qualified retirement plans. We enthusiastically welcome him aboard. With demand for income protection and wealth accumulation strategies increasing, The Myerson Agency announces the addition of FinTech expert Dylan Cohen to the team. Cohen will be focusing primarily on young families and other specialty markets, such as physicians and athletes, to design custom solutions for income protection planning, children's college education planning and retirement planning. Cohen is located in Los Angeles, California, in The Myerson Agency’s West LA office.